Different types of natural stone require different restoration processes. For example, marble is a relatively soft stone compared to granite. 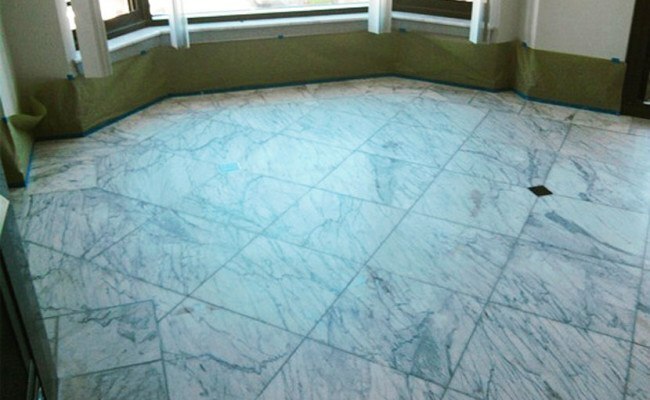 Some restoration contractors who regularly restore marble floors and surfaces won’t touch granite. A homeowner in Poway CA had a floor that was mostly marble, but it also had decorative black granite inlays. 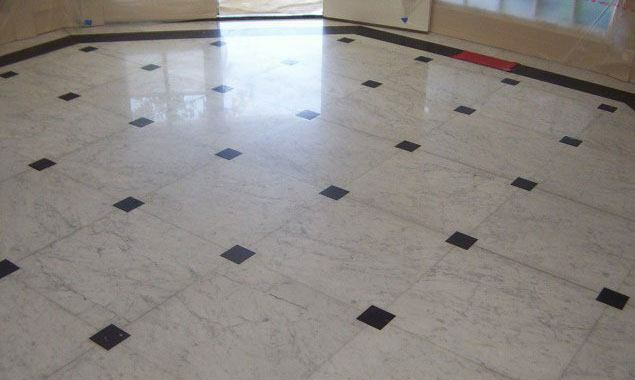 He was looking for a natural stone restoration contractor in the San Diego area who could hone and polish marble floors without damaging decorative elements. The dull and dirty-looking marble floors had seen many years of use. The qualified and experienced technicians at Set-In-Stone Restoration had the necessary skills to take the job. Honing the floor was tricky, because we had to carefully avoid the black granite inlays. Had we honed over the entire surface, the marble would have looked great, but the inlays would have looked awful. Once we successfully completed the marble honing process, the rest of the job was business as usual. 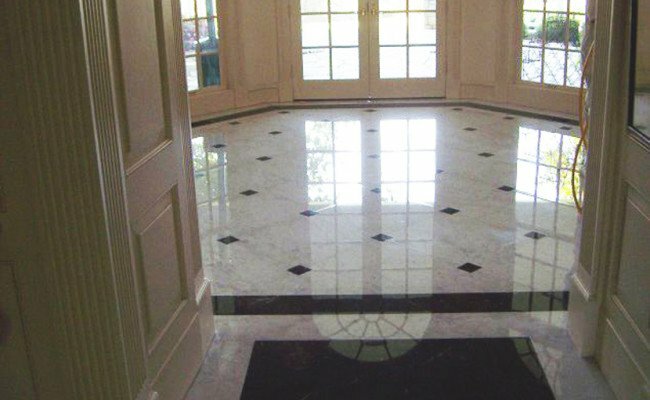 With the marble and granite floor polishing process, we were able to achieve a beautiful, high-gloss appearance so that the refinished floor had a mirror-like quality. It takes special skills and years of hands-on experience to work on floors like this. If you have decorative elements in your marble or other natural stone floor and it’s time for restoration, this is a job for professionals. If your floor does not have granite or other decorative inlays, think about this: Professional restoration can achieve impressive results with a complicated job. Imagine what it can do with your “normal” marble or granite floors! Visit our Marble Services page or watch this short video to learn more about professional marble restoration services or this video to learn more about natural stone restoration for commercial properties. 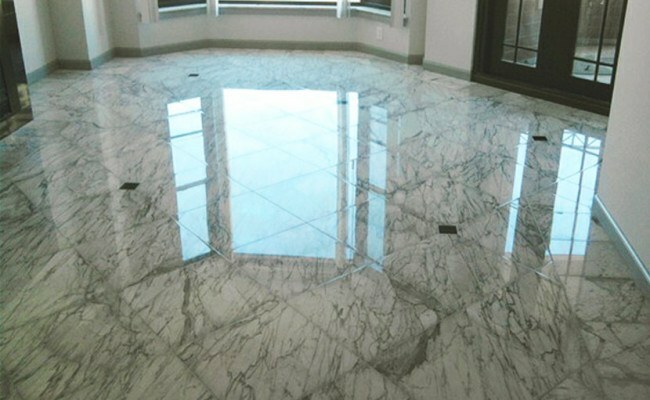 If you live in the San Diego area and you are looking for professional marble polishing services, contact us online or call 619-246-0240 for a free estimate.